The front of the head is a little trickier. 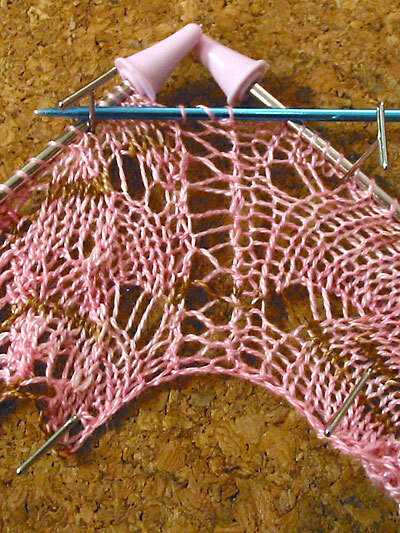 First, line up the pieces as pictured, with the right sides facing you—if you’ve done this correctly, the two bound-off stitches at the side of each piece should meet in the middle. 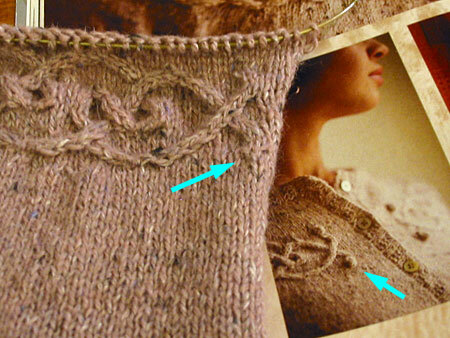 The blue dots represent the row markers you placed while knitting.